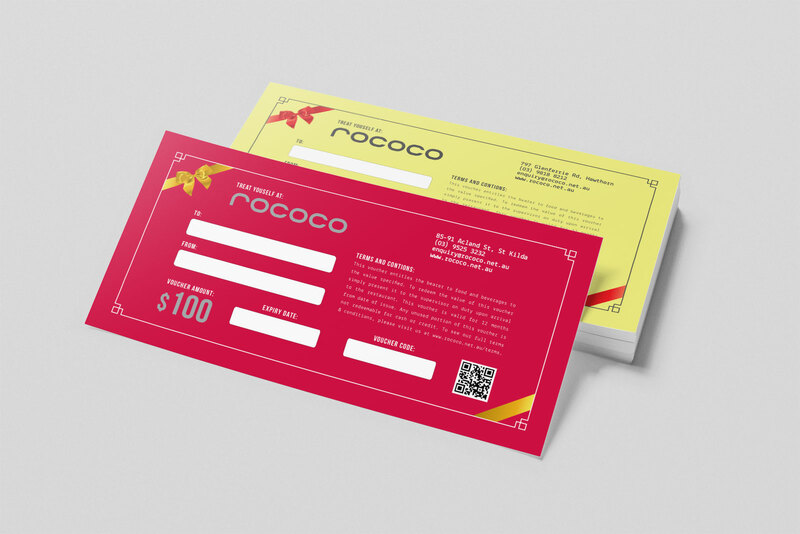 Treat someone special to a gift you know they will love, a Rococo gift voucher. We have gift vouchers available in $50, $80, $100, $150 and $200. If you need anything higher than the amounts specified, you can purchase more gift vouchers and combine them for a single use. Gift vouchers are available in digital or physical forms and can be ordered online or in-store at our both of our venues. I have read the Gift Voucher Information and agree to the Terms & Conditionspick one!